The impious king Lycurgus is strangled by the grapevine of the god Dionysus. The king's axe falls the ground on the right. 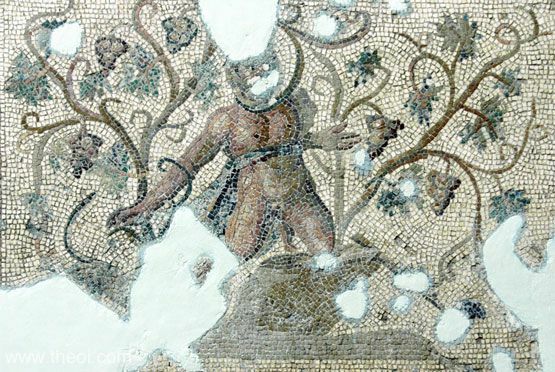 The mosaic probably illustrates the metamorphosis of the Maenad Ambrosia who was transformed into a vine by the god after Lycurgus slew her with his axe.